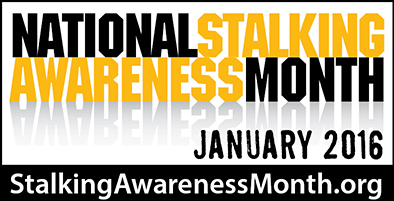 How will you commemorate National Stalking Awareness Month 2016? Are you writing an op-ed in your local newspaper, holding a vigil honoring stalking victims, organizing a training around stalking for professionals or something else? We want to hear about it! We can also help promote your event on our website and social media! * Is there a link to an article, flyer, webpage about this event/activity? If so, please enter it below.